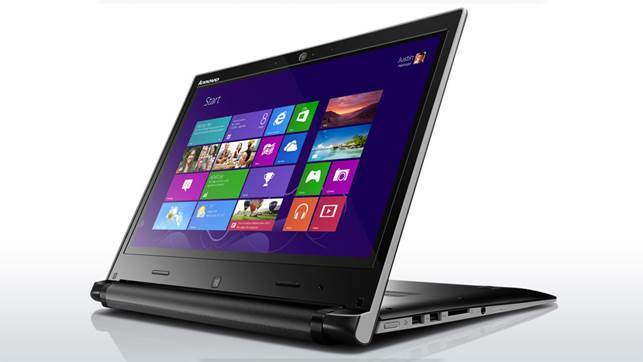 At first glance, the Lenovo IdeaPad Flex 14 Windows 8 touchscreen laptop appears identical to the company’s own Yoga 2 Pro. There are some important differences, not least the price – at $713.03 the Flex is $1111.00 cheaper. The Flex’s screen, like the Yoga’s, can be bent backwards so that the laptop can be stood on end like a tent. Alternatively, the base can be oriented as a stand so the touchscreen can be used more comfortably when you’re sat at a desk. We found these two orientations to be especially handy for watching video while relaxing on the sofa or in bed. Unlike the Yoga, the screen can’t be laid completely flat against the underside of the keyboard for use as a tablet. This isn’t a crippling omission, however, as the Flex’s 1.9kg weight would make it impractical for frequent and prolonged use as a tablet. It’s light for a laptop, though, yet still feels sturdy. The wrist rest is made from black metal, while elsewhere the laptop is made from rigid plastic that has a rubbery finish that’s easy to grip. The Flex is taller than other 14in and 15in laptops due to the chunky hinge needed for the flexible screen, which can make it tricky to use in cramped conditions such as an economy-class airline seat. The 14in screen itself has a standard resolution of 1366x768 pixels. Colour accuracy is average at best with many colours looking washed out, but its biggest flaw is its lack of brightness. It’s very dim, which is especially noticeable when brightness is reduced by 50 per cent to conserve battery power. The Flex’s screen, like the Yoga’s, can be bent backwards so that the laptop can be stood on end like a tent. Battery life was excellent, lasting almost 12 hours when playing videos. 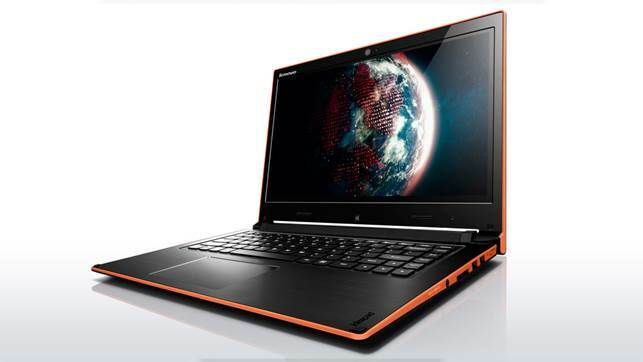 This is especially impressive for a budget laptop and is due, in part, to the power-efficient 1.7GHz Intel Core i3 4010U processor. Paired with 4GB of memory, it’s powerful enough for most everyday tasks. 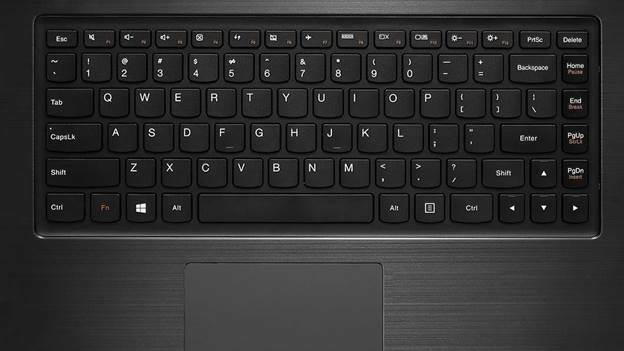 The keyboard has large keys that give plenty of feedback, but they don’t have as much travel as we would like. We did get used to it, though, and managed to type quickly and accurately. We had no complaints about the touchpad - it’s large and accurate with click y buttons that give just the right amount of feedback built into the bottom of the pad itself. The Lenovo IdeaPad Flex 14 comes very close to being the perfect budget laptop thanks to its long battery life, light weight and sturdy build, but it’s let down by its dim screen. If you can live with this flaw, then it’s a good value laptop; otherwise buy the Samsung Series 5 Ultra NP540U3C-A02UK instead.